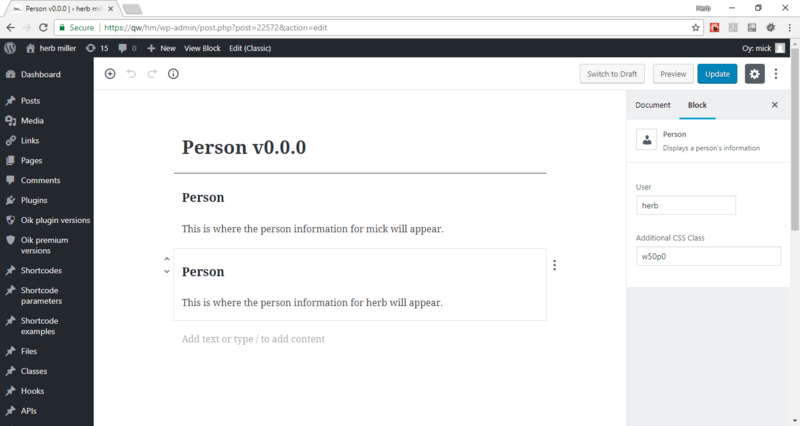 The Person block will work with the oik-user plugin to display information about a particular user. It will combine a set of shortcodes into a single block. where abc is the user name or ID entered in the Advanced Settings User field. The current state of the Person block is as these screenshots. Import and use to encapsulate shortcodes. May be unnecessary in this instance. See https://fb.me/react-warning-keys for more information. I've read the help multiple times but it really doesn't give any indication how to perform problem determination using Developer tools. There must be a rite of passage that I've not been prepared for. How do I identify which controls need key= fields and which don't? Note: Setting multiple key= fields with the same value does at least produce a slightly more useful message. Warning: Encountered two children with the same key, `perinspector`. Keys should be unique so that components maintain their identity across updates. — the behavior is unsupported and could change in a future version. Perhaps there could be some provision in core for the commonly used tags. Provide select list for users. It’s time to change this block to a server side rendered function that under the covers will use the shortcode functions. 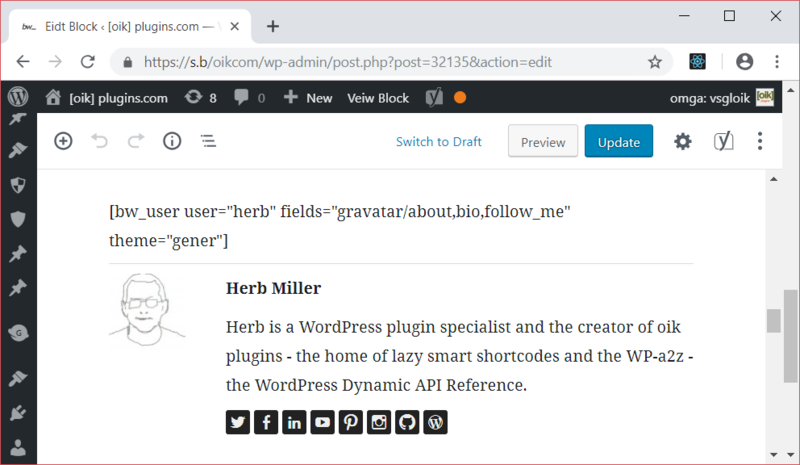 There is already an example of using the bw_user shortcode to display an author box with gravatar,about,bio and a class of author-box. The block should optionally include the Follow me block as a child element. The trouble with having the follow me block as a child element is that nested blocks do not automatically inherit attributes of the parent block. So the user= attribute would need to be set for both the Person block and the child follow me block. 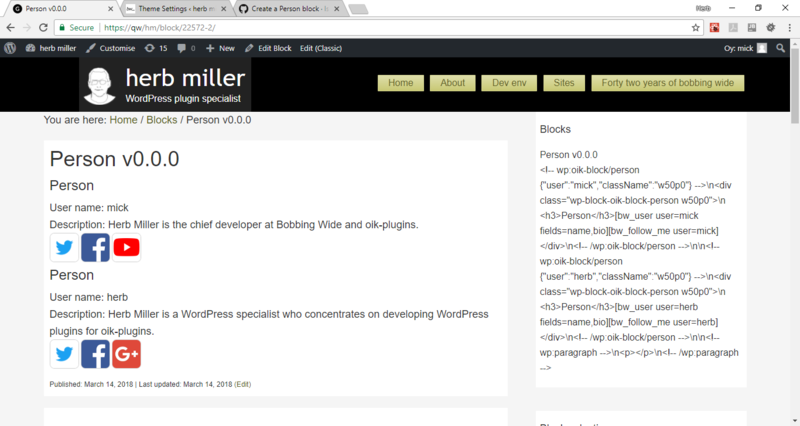 Change the Person block to display the other fields in another div. consider generating the equivalent shortcode as an option. Latest example in the block editor, showing the equivalent shortcode and the rendered output.